CRICKET–Uganda recorded their second consecutive win at the ICC Women’s World T20 Africa Qualifiers beating Tanzania by 7 wickets to go to the top of the log. Namibia lost their second successive match, going down by 8 wickets to Zimbabwe. In the morning match, Tanzania could not build on their fine start as they were pegged back to reach 78/7 off their 20 overs. Tanzania elected to bat after winning the toss and got off to a solid start as Fatuma Kibasu and Monica Pascal put on 52 runs for the opening wicket. Gertrude Candiru made the breakthrough, dismissing Kibasu for 25, Pascal for 27 and Aisha Ally for 2 in quick succession as Tanzania were pegged back to 62/3 by the 15th over. Four more wickets fell in the final overs as Tanzania could only post 78/7 off their 20 overs. Candiru was Uganda’s stand-out bowler, taking 4/12 off her 4 overs, while Stephanie Nampina and Frankline Najjumba picked up a wicket each. 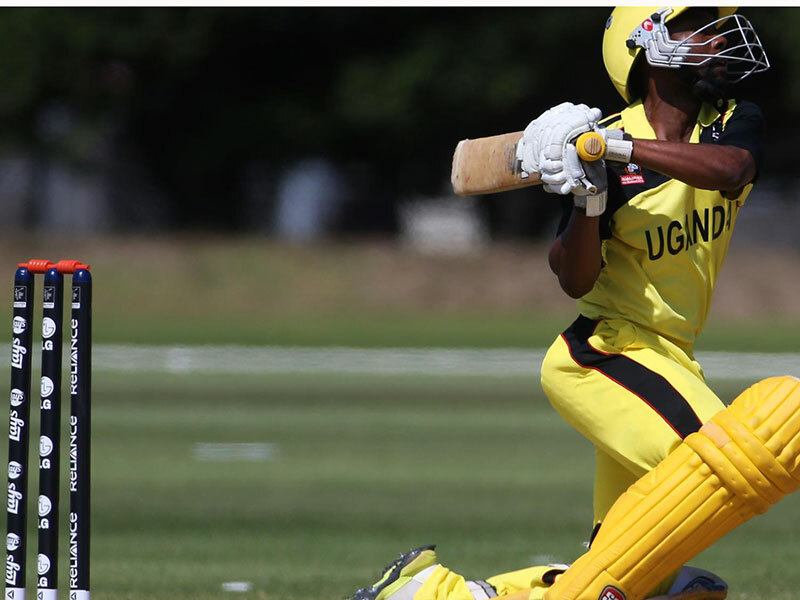 Uganda attacked Tanzania’s bowling from the start, as openers Racheal Ntono and Saidati Kemigasha put on 32 for the first wicket off 6 overs, before Ntono was out for 21. Kemigashi followed for 29, and with the total on 60 after 11 overs, the result was a foregone conclusion. Immaculate Nakisuuyi was dismissed for 14 while Naome Bagenda remained not out on 10 as Uganda scored 79/3 with four overs remaining. Zinaida Finkili was Tanzania’s best bowler with 2/19 from 4 overs. Candiru won the player of the match award for her fine bowling spell. Namibia won the toss and elected to bat, but could only score 71/7 which was no problem for Zimbabwe as they scored 72/2 off only 10,2 overs. In Namibia’s innings, Anneri van Schoor (5) and Irene van Zyl (0) went cheaply, but Petro Enright gave them hope with a solid innings. It was slow going though and when she was out for 19, the total stood at 33/3 nearly halfway through their innings. Yasmeen Khan went cheap for 1, but Kayleen Green (9) and Adri van der Merwe (16) put on 25 for the fifth wicket, but it was hardly enough as they reached 71/7 off their 20 overs. Josephine Nkomo was Zimbabwe’s best bowler with 3/9 off 4 overs. Zimbabwe wasted little time in their run chase as Modester Mupachikwa and Ashley Ndiraya put on 26 off 2,5 overs before Mupachikwa was run out for 16. Chipo Mugeri was bowled for a golden duck by Petro Enright, but Precious Marange joined Ndiraya to take Zimbabwe to the winning target. Marange was not out on 19 off 21 balls, while Ndiraya was not out on 18, as Zimbabwe reached 72/2 off 10,2 overs. on Sunday, two unbeaten teams met when Uganda played with Kenya. Batting first, Kenya was routed for a paltry 58 with seven balls of their allotted 20 overs in hand. Nakuru-based Queentor Aoko (24 off 23 balls with three boundaries) was the only batswoman who scored double digit figures. The others were dismissed cheaply, Mary Wambui and Sylvia Kinyua both out for four, Margret Banja clean bowled by Rita Musamali for a golden duck, Veronica Abunga (7), Sarah Bhatika (5), Edith Wanjiru (0), Jane Achieng (2), Venesa Adhiambo (3) and Edith Wanjiru (5). Uganda’s wicket takers were Musamali (2/11), Getrude Candiru (2/13),Stephanie Namdina (2/7) and Consylate Aweko (1/7). There were three run outs. In reply, Uganda was home and dry with 59 runs and six wickets plus 28 balls in hand. Saidati Kemigisha (25) top scored for Uganda. Candiru (13) was the only other batswomen who posted double digit figures on the scoreboard.